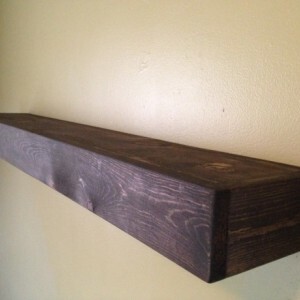 Custom Hand Made to Order: FREE SHIPPING Rustic style wood floating shelves. Choose your own size and stain finish. 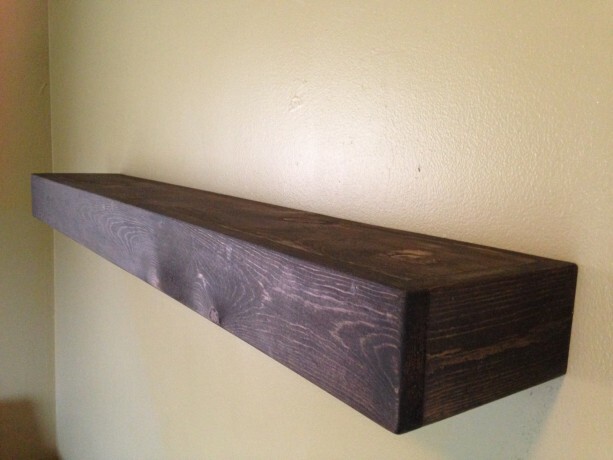 Hand made from 3/4" thick material, our shelves are sturdy and well built. 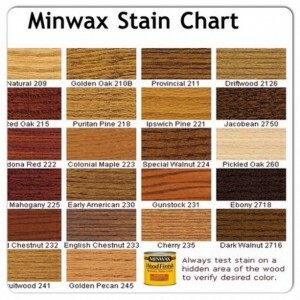 There are many different finish colors available to accommodate your decor. They make a statement in any room. 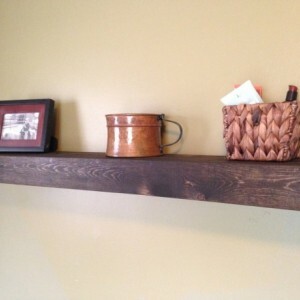 We recommend mounting directly to wall studs. 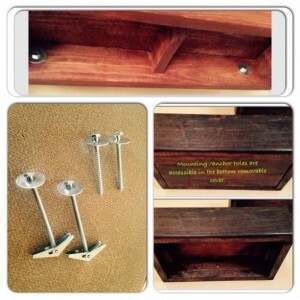 Includes lag screws for mounting. The bottom cover comes off to access the mounting holes. 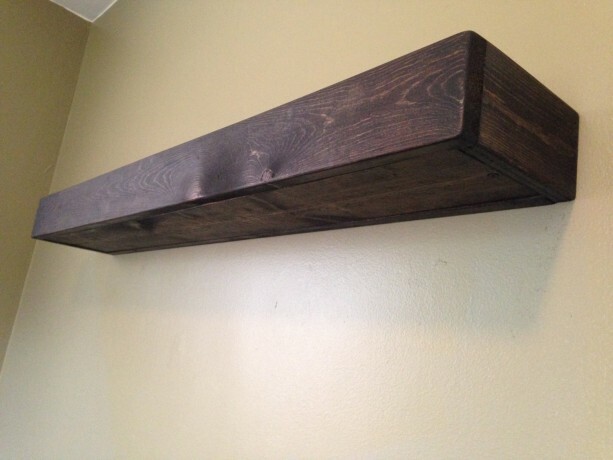 These shelves are capable of mounting to 3 wall studs. Includes lag screws. 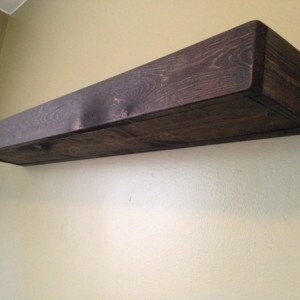 MEASUREMENTS: 3 1/2" H x 7" D x 42" L (custom sizing available) INCLUDES: 1) Shelf 3) Lag Screws Wood is unique in it's character and how various pieces accept stain differently. Variations in color, cracks, nicks and knots may be present, and should be expected when ordering. These characteristics are what makes each product unique. 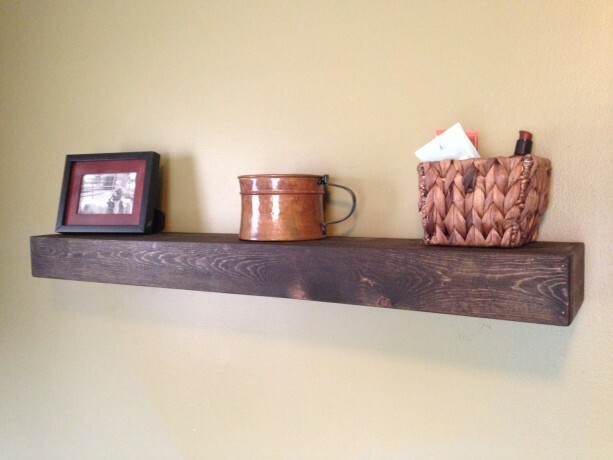 CUSTOM PROJECTS: There are many options for the finish, hardware, and design, and these are just a few. If you have a design idea that you would like to have made, or have seen something on the internet, we would love to hear from you. We would collaborate a project, and list it on Etsy for you. All of the details would be laid out, and would then be a purchase option for you.